A belief in the existence of persons endowed with abnormal or extraordinary psychic faculties or magical powers, by which they can produce wonderful effects, such as are not to be explained by the commonly accepted theories of external science, is nothing new. The Bible and the “Acta Sanctorum” are full of accounts of so-called “miracles,” a term which signifies something wonderful, but for all that not anything contrary to the laws of nature. Such “wonders” are performed by the power of the spiritually awakened will. The Yoga philosophy gives a specification of these powers, and describes how they may be acquired. To those powers belongs the art of making oneself invisible; of leaving one’s body at will and returning to it again; of projecting one’s soul to a distant place; of prolonging physical life for a long period of time; of transforming base metals into pure gold by alchemical means; of creating subjective illusions which appear to the spectators as objective realities, and of performing numerous other feats, such as belong to the department of Magic, white or black. There is sufficient evidence going to show that during the time of the Middle Ages there were numerous people existing in whom such psychic faculties had been more or less developed. It was a time during which the imagination of the people as a whole was more active and more directed toward the supersensual and metaphysical aspect of the world. There was more of the true faith, and likewise more superstition to be found than at present, and faith as well as fear are active powers, capable to produce results on the astral plane. If we allow a great deal of poetical liberty in the descriptions of the members of this fabulous order, charging it to the fruitful imagination of the writers living at the time of the “knights errant,” nevertheless, there remains a considerable amount of historical evidence going to show that there were persons endowed with abnormal powers; although there is no evidence whatever that they were united among themselves by any external association or sect. Neither would such a farce ever be necessary among those whose internal senses were opened, and who would be drawn together by the ties of the spirit. Having the power of interior perception, they would surely not need any external passwords and signs. The true brothers of the Golden and Rosy Cross were and still are a spiritual society, and therefore the effort made at that time of finding a real and living, indisputably true Rosicrucian, were as unavailing as was at a more recent period the effort made by a certain London society of proving the existence of real and living Adepts. The Rosicrucians have been celebrated in prose and in verse; and their virtues have been extolled by some, while others have denounced them as impostors. Some writers describe them as beings of a superior character, possessed of apparently supernatural knowledge and powers, as men of noble appearance and exercising an invisible but irresistible influence over all with whom they come into contact. They describe them as having the power to read the hearts of men, and to cure the diseases of their bodies by wonderful medicines, or merely by the touch of their hands. They are loved by all and they love all; but their hearts are invulnerable to sexual love. They never marry. They are sometimes described as being of fabulous age, and still appearing in the full vigour of manhood; as being great travellers and speaking the language of each country where they temporarily reside, as fluently and correctly as if it were their own native tongue; as possessing the power of rendering themselves invisible, and again, as often appearing unexpectedly, when their presence is most urgently needed. They are possessed of immense treasures, and have the power to transmute base metals into gold, and yet they despise riches and are contented to live in poverty. They are the wisest of all men, and the knowledge of even the most learned cannot be compared with what they know. They do nothing whatever for the purpose of obtaining fame, for they are dear to ambition; nevertheless their fame spreads wherever they appear. They are universally honoured, but they seek not for honour, and prefer to remain unnoticed. Palaces are at their disposal, but they prefer the hut of a beggar. They are not proud of their personal attributes, but it is the majesty of the divine principle manifesting itself in them, and shining even through the material envelope called the physical body, which surrounds them with an aura commanding the respect and veneration of all who approach. The glory of supermundane light which shines through their forms is so great that they may even appear luminous in darkness. The following is taken from a book entitled “Hermippus Redivivus,” which we will abbreviate as much as possible, The Sieur Paul Lucas, who, by the order of Louis XIV., travelled through Greece and Africa in search of antiquities, says, “Being at Broussa, we went to a little mosque. We were introduced into a cloister, where we found four Dervishes, who invited us to their dinner. One of these, who said that he was of the country of the Usbeks (a Tartar tribe) appeared to me more learned than the rest; and I verily believe he spoke all the languages of the world. After we had conversed for a time in the Turkish language, he asked me whether I could speak Latin, Spanish or Italian. We then spoke in Italian; but he noticed by my accent that this was not my mother tongue, and when I told him that I was a native of France, he spoke to me in as good French as if he had been brought up at Paris. I asked him how long he had stayed in France, and he answered that he had never been there, but that he desired to visit that country. This man was so learned that, judging from his discourse, he seemed to have lived at least a century; but according to his external appearance he was not more than thirty years of age. “He told us that he was one of seven friends who had wandered all over the world with a view of perfecting their studies; that at parting they always appointed another meeting at the end of twenty years in a certain town, and that the first who came would wait for the rest. I perceived that Broussa was the place appointed for their present meeting. There were a few of them present already, and they seemed to converse with each other with a freedom which spoke of old acquaintance rather than merely accidental meeting. We spoke of religion, natural philosophy, chemistry, alchemy and the Kabala. I told him that the latter, and especially the notion of the ‘Philosopher’s Stone,’ were considered by modern savants as mere chimeras. “I said: With all these fine maxims, the sage dies as well as other people. What imports it, therefore, to me when I die, to have been either a fool or a philosopher, if wisdom has no prerogative over folly, and one is no more a shield against death than the other?’ “‘Alas!’ he answered, ‘I see you are absolutely unacquainted with our sublime science, and have never known true philosophy. Learn from me, then, my friend, that such an one as I have described dies indeed, for death is a debt which Nature enacts, and from which therefore no man can be exempt; yet he dies not before his utmost time is fixed. But then you must observe that this period approaches near a thousand years, and to the end of that time a sage may live. He arrives at that end through the knowledge he has of the true medicine. Thus he is able to ward off whatever may impede the animal functions of his body or injure the temperature of his nature; and is enabled to acquire the knowledge of whatever comes within the cognizance of man. “Aboriginal man knew the secrets of Nature by the use of his reason, but it was this same reason which blotted his knowledge again from his mind, for having attained this kind of natural knowledge, he began to mingle with it his own notions and ideas. This created a confusion which was the effect of a foolish curiosity, and he reduced thereby the work of the Creator to a state of imperfection; and this is the error which the true sage attempts to redress. The other animals act only by their instinct, which they have preserved as they obtained it at first, and they live as long now as they did when they first came into existence. Man is a great deal more perfect than they; but has he still preserved that prerogative which he had in the beginning, or has he not lost long ago the glorious privilege of living a thousand years, which, with so much care, he should have studied to preserve? This the true sages have accomplished, and that you may no more be led into mistakes, let me, assure you that this is what they call the Philosopher’s Stone which is not a chimerical science, but a real thing. It is, however, known to a few only, and indeed it is impossible that it should be made known to the most of mankind, whom avarice or debauchery destroys, or whom an impetuous desire of life prematurely kills.’ “‘Surprised at all I heard, I said: ‘Would you, then, persuade me that all who have possessed the Philosopher’s Stone have likewise lived a thousand years?’ ‘Without doubt,’ answered he, gravely, ‘for whenever a mortal is favoured with that blessing, it depends entirely on his own will whether he shall reach that age of a thousand years, as in his state of innocence the first man might have done.’ “I took the liberty to mention the illustrious Flamel, who, I said, had possessed the Philosopher’s Stone, but was now dead as far as I knew. “A little before the time of Flamel there was a Jew of our fraternity; but as through his whole life he had a most ardent affection for his family, he could not help desiring to see them after it once came to his knowledge that they were settled in France. We foresaw the danger of his voyage, and did all we could to persuade him not to undertake that journey. We succeeded for a while in detaining him; but at last the passion of seeing his family grew so strong upon him that he went. At the time of his departure, he made us a solemn promise to return to us as soon as it was possible. He arrived at Paris, and found there his father’s descendants in the highest esteem among the Jews. There was also a Rabbi, who was a true philosopher at heart, and who had long been in search of the great secret. Our friend did not hesitate to make himself known to his relatives, he entered into friendly relations with them, and gave them an abundance of light. “‘But as the matter requires a long time to prepare it, he put into writing the whole process, and, to convince his nephew that he had not told him falsehoods, he made the “projection” in his presence of some ninety pounds of base metal, and turned it into pure gold. The Rabbi, full of admiration, did all he could to persuade our brother to remain with him, but in vain; for the latter had made up his mind not to break the promise to return to us. When the Jew found this out, he changed his affection into hatred, and his avarice stifling the admonitions of his conscience, he resolved to extinguish one of the lights of the universe. Dissembling his black design, he begged the sage to remain with him only for a few days. He then executed his execrable purpose of murdering our brother, and made himself master of his medicine. “‘Such horrible actions never remain very long unpunished. Some other crimes he had committed came to light, the Jew was imprisoned, convicted, and burned alive. “‘Soon after this a persecution of the Jews began in France. Flamel, who was more reasonable than his enraged countrymen, and whose honesty was known, became a friend of the Jews, and a Jewish merchant entrusted him with all his books and papers, among which were those of the criminal who had been burned alive, and also the book of our brother; which had never been carefully examined by the merchant. When Flamel examined that book, his curiosity became aroused by certain figures contained therein, and he began to suspect that it contained great secrets. He got the first leaf, which was written in Hebrew translated, and from the little he learned from that, he became convinced that his suspicion was well founded; but knowing also that great caution was necessary, he took the following steps: He went into Spain, and, as Jews were settled in many parts of that country, he applied in every place to which he came to the most learned, and engaged each of them to translate a leaf of the book. The well-known fact that the Adepts and alchemists of the middle ages were continually subject to persecutions, to imprisonment, punishment, torture and death, is the cause that the names of only few of them became publicly known. One reputed alchemist was the Count de Saint Germain, who lived in 1770 at the Court of France. He appeared to be, about forty years of age; some said he was ninety, he himself gave his age as being 370 years. He possessed the art of making artificial diamonds and precious stones, he was clairvoyant, could read people’s thoughts and foretell future events. He possessed an “album,” in which many of the most celebrated persons of the sixteenth and seventeenth centuries had signed their names; he was able to write with both hands at one and the same time, with each on different subjects. A somewhat similar character was the Count Cagliostro, whose physical form was born in Italy and received the name Giuseppe Balsamo. The latter was incarcerated in the castle San Angelo at Rome, and is believed to have died in one of its dungeons. The problem of Cagliostro will not be solved by our historians until they study the true nature of man in its normal and abnormal aspects, when they may, perhaps, discover the fact that two personalities may inhabit one physical organism, and that a man may, perhaps, be a Cagliostro at one time and a Balsamo at another. I have carefully read the proceedings of the trial of the renowned Count Cagliostro before the tribunal of the inquisition in Rome, and I have found no proof whatever of his having been an impostor. To everyone acquainted with even the elementary teachings of occultism, the phenomena which occurred in his presence do not appear at all unexplainable, or as having been the products of imposture; but what appears wonderful is the illogical consequence and ignorance of the witnesses for the prosecution, who admit the occurrence of phenomena in his presence, which could not have been produced by his tricks, while in the same breath they denounce him to be an impostor. To arts of this kind belongs that of making pure gold or silver artificially, of transforming base metals into nobler ones; of preparing a Universal Panacea out of the principle of Life; of curing all diseases; of preparing a lamp which, by the manner in which it burns, indicates the state of health of an absent friend, with whom it is sympathetically connected; of producing a similar sympathetic or magnetic connection between a person and a jewel, a tree, or a mirror; of producing a living miniature image of the world in a closed glass globe; of causing the forms of vegetables or animals to reappear out of their ashes after they have been burnt; of producing artificially man (Homunculi) without the assistance of a female organism; of preparing a fluid, which rises and falls within the bottle where it is contained, according to the increasing or decreasing moon; of preparing a glass wherein it will thunder, and lightning will appear, whenever the same takes place in the air; of producing an inextinguishable magic fire, an ever-burning lamp; a magic mirror, where events can be seen taking place in any other part of the world; a perpetuum mobile, whose rotation is caused by the rotation of the earth; a divining rod, for finding water or minerals, or whatever one wishes to find; a magic ring, which warns the wearer of any approaching danger, and reveals to him many secrets; of causing love or hate at will; of making pearls, diamonds, or any other jewels, which cannot be distinguished from natural ones, or causing them to grow larger; of obtaining power over the elemental spirits of Nature and causing them to render services; of causing the astral spectres of dead persons to appear and talk and answer questions, and many other similar feats, too numerous to mention. We call that wonderful which is not within our experience, and the causes of which we cannot explain; we are daily surrounded by marvels, and witnessing the most marvellous phenomena, the causes of which we cannot explain; but we do not look at them with a sceptical eye, nor are we at ail surprised that they occur. On the contrary, we should be extremely surprised if they once ceased to occur; this merely because we are accustomed to see such things every day. We are surrounded by phenomena of an occult and magic nature, and we live in a laboratory of alchemy. We see how out of a hard little stone—kernel or seed—a germ appears, and grows into a big tree, although we are sure that there was no such tree in the kernel; and what would be still more astonishing if it were not of daily occurrence, is that out of a certain kind of seed a certain species of plant only will grow, and no other. We see how out of an egg a living bird appears, and yet if we examine the same kind of egg as long as it is fresh, and open it, we find therein nothing living, and nothing that resembles a bird. We also know that the parent bird does not put a bird into the egg after it is laid, for we may hatch out eggs by artificial heat, and thus produce birds out of the egg, and there is surely no bird in the heat. We see how out of a vegetable substance animal substance can grow, for we feed our cattle on grass, hay, and corn, and yet we are certain that there is no flesh in the grass or corn. We see the ever-burning light of the sun spending its heat year after year. We know of nobody who supplies him with fuel, and yet it seems to have always the same temperature. We know that the globe whereon we live revolves and flies with tremendous velocity through space, and yet we do not feel it move, nor do we fall head foremost down in the abyss of space when at night it turns the dark side away from the sun; we see that the storm blows down houses and trees, and yet that which does the damage is nothing but thin air; we see the body of water of our rivers and lakes, and if we attempt to step on its surface we sink; but a few weeks or months afterwards we may try it again and find it as hard as rock, able to bear the weight of the skating crowd. There are a thousand other similar marvels in Nature, too numerous to mention. There are many stories told of the Adepts, and the wonderful things they sometimes performed; how, in mid-winter, they caused beautiful flowers to grow out of the floor of a room, or produced a shower of roses in places where no roses were to be found; how some of them were seen simultaneously in two different places speaking and acting in each; how they sometimes were attended and served by “supernatural” beings appearing in human forms; how they were sometimes able to read the future, or see what was going on at a place hundreds of miles away from them; how they could speak languages which they had never studied; knew the contents of books which they had never read; could swallow poison without being harmed; make themselves invisible and visible at will, etc., etc. 1. The following account is taken from the acta of the judicial faculty of Leipzig, whose legal decision was given in August, 1715. (Responsio Juridica Facultis Juridicæ Lipsiensis.) A few years ago a man arrived late in the evening at the residence of the Countess of Erbach, the castle of Tankerstein, and asked to be permitted to enter it, and to hide there a few days, as he had accidentally killed a deer belonging to the Palatine of Palatia, who was, therefore, pursuing him to take his life, and he asked to be protected. The Countess at first refused; but when she saw the man she was so much impressed with his noble appearance that she consented, and the stranger was given a room, where he stayed for a few days. After that he asked for an interview with the Countess, and when admitted to her presence, he expressed his thanks for the protection given to him, and offered that, as a token of his gratitude, he would transmute her silver ware into gold. The Countess at first could not believe that such a thing was possible, but she at last consented to have an experiment made with a silver tankard, which the stranger melted and transmuted into gold. She thereupon sent this gold to the city and had it tested by a goldsmith, who found it to be gold of the purest kind. She then permitted the stranger to melt and transmute all her silver spoons, plates, dishes, etc., into gold, which he did, and finally he took his leave and went away, having received a comparatively small sum of money as a gift from the Countess. Soon after this event, the husband of the Countess, who seems to have been a spendthrift, and who had been away from home for several years, serving as an officer in some foreign country, returned, because he had heard that his wife had become suddenly rich. He claimed half of the gold for himself, but the Countess refused to acknowledge his claims. The case came, therefore, before the Court, and the husband supported his claims by the fact that he was the lord of the territory (Dominus territorii), upon which the castle belonging to his wife was located, and that according to the laws of the country all treasures found upon that land were lawfully his. He therefore requested that the gold should be sold, and from the proceeds new silver ware should be bought for the Countess, and the surplus be given to him. The defendant claimed that artificially produced gold could not come under the consideration of a law referring to buried treasures, and that therefore the said law could not be applied in her case; that, moreover, the silver had been transmuted into gold for her own benefit, and not for that of another, and she begged the Court to be permitted to remain in undisturbed possession of it. The Court decided in her favour. 2. Another authenticated case is that of an Adept by the name of Sehfeld, who lived in Rodaun, a small place in the vicinity of Vienna. He made gold out of tin and spent it freely. The proprietor of the house where he resided, a man named Friedrich, gained the confidence of the Adept, and told his family about the doings of Sehfeld. The consequence was that soon rumours and gossip began to spread. 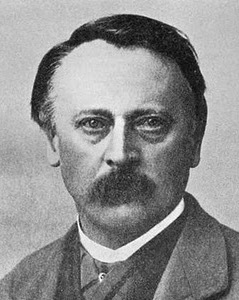 Sehfeld was accused of sorcery, and appealed for protection to the Austrian Emperor, saying that he was engaged in making certain chemical colours of which he possessed the secret. It is said that Sehfeld paid 30,000 florins into the Imperial Treasury to obtain this protection, which he enjoyed for several months. Friedrich and the members of his family often were present when Sehfeld made gold, and they say that after melting the tin, he sprinkled a small quantity of a red powder upon the molten mass, when the latter began to foam and exhibited all kinds of colours. After an hour or so it was allowed to cool, and all the tin was then transmuted into pure gold. One day Friedrich attempted to make the experiment himself. Having obtained some of the red powder from Sehfeld, he melted the tin while Sehfeld was absent, and sprinkled the powder upon it; but the latter had no effect upon the tin and did not mix with it. After a while, Sehfeld entered the room where the experiment was made, and as he entered the mass began to foam and turned into gold. The security which he enjoyed did not last long, for after a few months new rumours were put into circulation, the envy, greed and jealousy of the neighbours were aroused, he was accused of practising unlawful sciences, and he was arrested at night and imprisoned in the fortress of Temeswar, where he remained over a year, sternly refusing to tell his secret, and saying that no amount of physical torture would be able to make him reveal it. The governor of the fortress of Temeswar, General Baron von Engelshofen, was so much charmed by the noble appearance and open character of Sehfeld, that he went to Vienna and spoke to the Emperor about Sehfeld, declaring his opinion that the latter was innocent. The Emperor soon afterwards, while hunting boars in a forest near Rodan, sent for Friedrich, and received from him a detailed account of his experiences with Sehfeld, and became convinced that the latter was not a villain; but he would not believe that he was able to make gold, and expressed his doubts to that effect. Upon this, Friedrich, who was an honest man, exclaimed, “Oh! your Majesty, if at this moment God were to come down from heaven, and say, ‘Friedrich, you are mistaken; Sehfeld cannot make gold!’ I would answer him, ‘Dear God, it is nevertheless true that he can make it, because I know it to be so. '” Upon this, the Emperor, struck with the sincerity of the man, ordered that Sehfeld should be permitted to go where he pleased, and make whatever experiments he choose; but that he should not leave Austria, and should always be accompanied by two trustworthy officers who should never permit him to go out of their sight. Two of the best and most trustworthy officers belonging to noble families were selected for that purpose. He made several little excursions in their company; but not long afterwards Sehfeld and his two guards disappeared and never returned, nor has any trace of them ever been discovered. The historian adds that it is not probable that those two rich and noble officers would have sacrificed their career and also their reputation by thus deserting without having a sufficient cause or inducement to do so. Researches made in the house of Friedrich seemed to indicate that Sehfeld prepared his red powder out of some sky-blue minerals, probably some sulphuret of copper. 3. An apothecary at Halle made the acquaintance of a stranger, whom he found to be in possession of some chemical secrets. Having been invited to visit the stranger in his lodgings he went there, and after having talked about Alchemy, the claims of which the apothecary denied, the stranger showed him a certain red powder, and offered to give some of it to the apothecary so that the latter could make an experiment himself. With a very little spoon he took some of the powder out of the box wherein it was contained, but the apothecary objected that such a small quantity would not be sufficient to make the experiment. Upon this the stranger threw the powder back into the box, wiped the spoon, to which some of the powder adhered, on a piece of cotton, wrapped the cotton in a paper, and gave it to the apothecary, telling him that even this would be sufficient for that purpose. Having returned home, the apothecary took a big silver spoon, melted it in a crucible, and threw the cotton upon it. The molten metal began immediately to boil and to foam, and to exhibit the most beautiful colours. After a while he took the crucible from the fire and poured the metal into a mould. The next morning he examined it and found that it was the purest gold, and there were some ruby-red drops on the top, which seemed to have been the surplus of the red powder which the metal had not absorbed. The apothecary hurried immediately to the lodging of the Adept to tell him of his success; but the latter had gone, and no one knew where he went. A sum of money, more than sufficient to pay for his lodging, was found upon the table in his room. The silver which the apothecary employed in this experiment weighed 1¼ ounces, and the gold which he gained weighed 1½ ounces, which he sold to a goldsmith for 36 thalers. The gain in weight was, therefore, 20 per cent., which may be accounted for by the fact that the specific gravity of gold is greater than that of silver. Unfortunately, the ruby-red pearls on the surface of the gold were lost during the excitement caused by the discovery that the mass was actual gold, else they might have been used to transmute a far greater quantity of silver into gold. Bin ich von Zinn zu Gold gemacht. It seems, however, that there is nothing perfectly reliable in this world of illusions, and it is therefore necessary to state that Wenzel Seiler was afterwards regarded as an impostor, and sent back to his monastery. Later on, however, the Emperor received him again into his favour, and even paid his numerous debts, the existence of which is quite incomprehensible if he actually had the power to make gold by alchemical means.